This guide is for Windows 8.1. Instructions are similar for Windows 7 except from recovery from the internal partition. Note once Recovery Media is made you should be all set to update to the latest Legacy BIOS/UEFI BIOS and proceed with the Free Upgrade to Windows 10. Once you have Upgraded to Windows 10 you should perform A Clean Reinstall and then you can Setup Dell Backup and Recovery to make a Windows 10 Recovery Partition. This guide does not support Windows 8 it only supports Windows 8.1. The update procedure from Windows 8 to Windows 8.1 is too convoluted and problematic and leads to significantly lowered system performance. For Windows 8.0 its recommended that you perform a clean install of Windows 8.1 with Update 2 using the Windows 8.1 Media Creation Tool. The GPT Partition Scheme of the Windows 8.1 Factory Settings should look like the following. The main OS C: partition (takes up most of the size of the HDD). There will also be a 500 MB EFI partition with a small 750 MB Recovery Partition. The main ~8 GB Recovery partition. Note the GPT partition scheme can handle up to 128 different partitions and hence its of no concern to have more than 4 partitions unlike in the case of MBR. Windows 8.1 factory settings should never be installed in the MBR partition scheme. If looking at an older Windows 7 system the MBR partition scheme will be used. In this you will not have a 500 MB or 750 MB partition but instead will have a 100 MB system reserved partition. You may now close down the Disk Management. 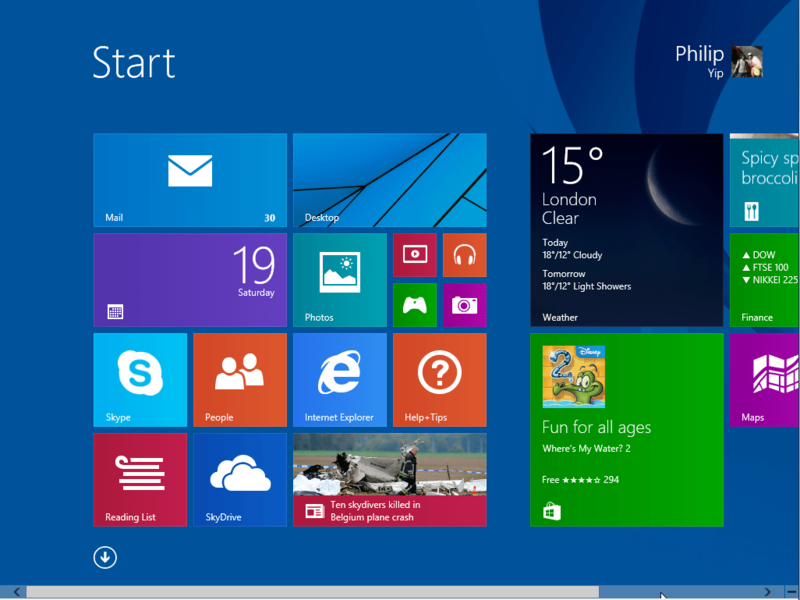 In Windows 8.1, right click the Start Button and left click “Programs and Features”. Look for any mention of Dell Backup and Recovery or Alienware Respawn and highlight these by left clicking on them. Look at the version; if the version is less than 1.8.1.71 then left click uninstall and restart the computer when prompted. Select yes to remove Dell Backup and Recovery. Dell Backup and Recovery will uninstall. Select Finish and Restart your Computer. After installation it will update the PE Environment (note it may stay on 100 % for a while). It took 18 minutes 44 seconds on an install with a SSD. It’ll take longer on a HDD. Even if you have created recovery media before using an earlier version of Dell Backup and Recovery/Alienware Respawn or Dell DataSafe Local Backup its advised that you create installation media with the latest version as it offers some fixes and enhancements. Carry out 2. Uninstalling old versions of Dell Backup and Recovery and Installing the Latest Version if you have not already done so. Ability to install on another Hard Drive or Solid State Drive other than the original drive shipped. Ability to install on another Hard Drive or Solid State Drive even if smaller than the original Drive. I have tested down to a 128 GB SSD from a 512 GB HDD. Ability to install with the GPT Partition Scheme with UEFI and SecureBoot for Windows 8.1 for Supported Systems (External Hard Drive and USB Flash Drive Only). Ability to install with the GPT Partition Scheme with UEFI with SecureBoot off and USB Debug on for Windows 7 for Supported Systems (External Hard Drive and USB Flash Drive Only). If an external hard drive is used to make recovery media it is no longer completely formatted. A small FAT32 partition is created to boot from and the remaining files for the Factory Backup are copied over to the main NTFS partition. Any user data on the external hard drive is left intact after this operation. 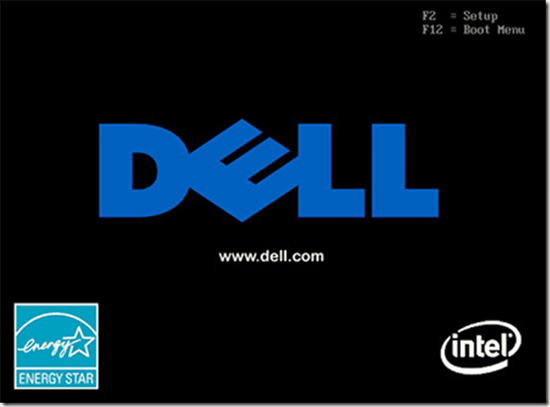 External Hard Drive – Dell Backup and Recovery/Alienware Respawn creates a small FAT32 partition on the external hard drive that can boot in a UEFI BIOS (with SecureBoot Windows 8.1, without SecureBoot Windows 7). A larger NTFS partition is used for the Factory Backup and for any files the user wants to put on the external hard drive (independent of Dell Backup and Recovery/Alienware Respawn). This is the most recommended type of recovery media and it can be utilised with Premium features such as a users custom image and incremental backups etc. Note: Dell systems created before 2010 do not have the capability to boot from an External Hard Drive. For these systems this type of Recovery Media is Useless. USB Flash Drive – Dell Backup and Recovery/Alienware Respawn format these as a single FAT32 partition that can boot in a UEFI BIOS (with SecureBoot Windows 8.1, without SecureBoot Windows 7). This USB Flash Drive cannot be used for any additional purposes once it has been used to make recovery media otherwise the recovery media probably will not work. Note: FAT32 has a limitation of 32 GB. If any USB Flash Drive is used that is above 32 GB it will be formatted as FAT32 and any storage space above 32 GB will be lost from the device. In reality the factory image is <16 GB and a 16 GB USB Flash Drive should be used. It takes the longest to create. It takes the longest to install from. Multiple DVDs are required and there can be burning errors which make the DVD set non-functional particularly if a cheap brand of DVDs are utilised. Many new systems ship without an Optical Drive. Many new systems which do possess an Optical Drive will not list the Optical Drive and hence any DVD media when installing in a UEFI BIOS (with SecureBoot Windows 8.1, without SecureBoot Windows 7). Dell Backup and Recovery tells you the amount of free space you need to make your Factory Recovery Media. In this case it mentions the fact that I require 8.22 GB. This will vary slightly from system to system. I am going to create a USB Flash Drive as an example so I am going to left click the USB Flash Drive. It may prompt about recovering some drive space but its an incredibly small amount so I’ll just select no. I have no data on this PC as I just restored it to factory settings before making this guide and I usually use OneDrive 1 TB cloud storage. I will just select later. I will now exit Dell Backup and Recovery. I will now right click the start button and select Disk Management. This is the Factory Backup (Bootable USB Flash Drive). You may safely remove it from your computer. Close down all Windows explorer Windows and Disk Management Windows then left click to open the notification tray. You will be informed its safe to remove the USB flash drive. Remove it and keep it in a safe location. You may want to check that you can boot from the recovery media, see 4. Restoring from Recovery Media – A Single Drive. Before demonstrating a Bootable External Hard Drive. I will examine it in Disk Manager and Computer. As can be observed this is a 2 TB hard drive which only has one large partition. Checking in Windows Explorer I have some drivers for a Precision M4700 for a previous installation, Office and the Dell Backup and Recovery .exe. When Dell Backup and Recovery is launched with an external hard drive it will check the external hard drive. Ensure you do not touch these when using the external hard drive. The Latest version however still does not support multiple drive configurations (hopefully this will come in the next version as Dell are now selling systems with 256 GB SSD Boot Drives and 2 TB Data HDDs). It by default will install on the largest internal drive present in the system. This step will guide you through systems with only one HDD/SSD. If your system has the capability to seat multiple drives (including mSATA drives see 5. Restoring from Recovery Media – SSD Boot Drive and Data HDD Configuration. Power down your computer. Insert your Bootable USB Flash Drive (Factory Backup) or Bootable USB External Hard Drive (Rescue Disk). Press [↓] (if necessary) and highlight your USB device and press [Enter]. If you select “next” it will try and repair the Windows installation present on the drive and then boot from it. I don’t want to use this in this case in particular as I am installing on a new SSD and want to Factory Reset so I will select Advanced Options. I will then select Factory Reset and then select next. When its done you will be prompted for a restart. Before restarting remove the USB Flash Drive or USB External Hard Drive. In my tests clicking restart with them plugged in made the UEFI BIOS default to them as they were the last select boot device. Note at this stage you may hold down the power button to shut down the system if you want to give this system away and have it so that its setup at factory settings without any of your personal information. You will then be prompted for your language and region, amend to your preferences and select next. I will select “proper” English in this example. You can then select express settings (red) or customise (green) to suit your preferences. One thing to notice about Windows 8.1 when changing the settings is that it is very touch screen optimised, you can move the sliders along with your finger if using a touchscreen, otherwise just click them with the mouse. Enter your email address and select next, it will then search for a Microsoft Account (if you use a Microsoft email or XBOX live it will be one). If you don’t have a Microsoft account you can sign up for one. If you sign in with a Microsoft Account, additional security measures are usually put in place such as validation of your phone number associated with your Microsoft Account. Windows 8.1 only lets you log in when the validation checks are complete. Once you have input the correct code select next. Alternatively if you are offline you will only be given the option to sign in with a local account. Your settings will finalise and then any default Apps will be installed. Your settings will finalise and your Windows 8.1 Apps will be installed. You should now be logged into Windows 8.1. The system should automatically activate when you are online. If you are using a system with multiple drives for example a system with a 256 GB SSD and a 2 TB HDD. Recovery Media created from the latest version of Dell Backup and Recovery still does not support multiple HDD and SSD configurations. It by default will install on the largest internal drive present in the system. This is more advanced and will take a few steps. If you are upgrading from a 32-64 GB mSATA Cache SSD to a >120 GB mSATA Cache SSD you will need to change the SATA operation to AHCI in the UEFI BIOS before continuing. Its important that the only the drive that you want to install Windows on is attached to the system otherwise Dell Backup and Recovery will automatically select your largest HDD and bypass your SSD. Follow the steps in 4. Restoring from Recovery Media – A Single Drive. Power down your computer and reattach any disconnected drives. Follow the instructions in Solid State Drive and Hard Drive Configurations to initialise the HDD and to reassign the user libraries and create junctions so programs don’t save in the original library locations. To initiate the restore to factory settings, right click the start button and left click Shutdown or Sign Out. Highlight Restart with the Mouse and hold down the [shift] key. Continue holding down [Shift] and left click Restart. If you select “next” it will try and repair the Windows installation present on the drive and then boot from it. I don’t want to use this in this case as I want to Factory Refresh so I will select Advanced Options. As you are booting from the internal recovery partition there is no option to “factory reset” only “factory refresh”. This is where the data on the Windows partition gets refreshed to factory defaults and the remaining partitions are left intact. Excellent instructions. Worked great when installing a Samsung Pro 256 SSD as the boot drive on a newly purchased XPS8700. Used the USB approach. Can’t thank you enough. My computer is 15SE 7520. I have dual boot installed (Win 8.1 & win 7). Why can’t we have physical media for recovery and installation like the old days, is it just save a few quids? This is a total and utter pita! Dell Backup and Recovery will not work with advanced configurations like a dual boot. I agree with your sentiments about installation media, trust me i have been highly against Microsoft’s forced media reduction policy. As things currently stand Microsoft have removed the Windows 7 Digital River .isos and replaced them with a non-functional Microsoft Software Recovery Tool. For Windows 8.1 (also working with Windows 8) however they have the Microsoft Software Recovery Tool. P.S. Windows 7 does not support SecureBoot. I think there is something i need to clarify. Although my current system is running dual boot, I wasn’t trying to recover to a dual boot environment. I wanted to have a fresh install of the win 8.1 in the new ssd. I can’t see why the dell recovery tool is having problems with this. In theory what the tool does is just to transfer the 12GB recovery partition to the external HDD and no other data such as no. of partitions or boot record are included in the recovery media. Strangely enough the usb HDD was able to boot up to the dell recovery environment if the original HDD was installed but it was only working under legacy boot, secure off. Do you think that if I removed the win 7 dual boot, the problem would go away? Another thing to note is I have a separate partition for all my personal data, could this be a contributing factor to the problem? As mentioned Windows 7 does not support SecureBoot so if you are trying to use Windows 7 then having SecureBoot on will cause an issue. For an advanced configuration use the Windows Media Creation Tool and install Windows 8.1 manually. I uninstalled the older version today over an hour ago per your instructions, downloaded the new version and installed and restarted both times. Ran the software and I got to step 3 and put my 16 GB usb drive in and it hung for over an hour and never got the continue button to push. Both were grayed out so I could not complete. It did recognize the drive like in your instruction but, that is as far as I got. I had an earlier version one down from this version already on the usb and it was not working when I tried this, tried three times still didn’t work so I re-formatted the usb drive and tried again, still stuck at the same spot. Please help now I no backup. Do I need to install the version that I had again just to have a backup copy on hand or remove the newest version and install the newest version again. Try another USB in case that one is beginning to fail. A bit different. I have a new XPS8700 with Win 8.1. After, for an unexplained reason, Backup and Recovery required me to do just that, recover to the original system software, which it did without other than talking a long time, Backup and Recovery itself started failing. Failing in that it would start, but before long it would display in a pop-up “Backup and Recovery has encountered and error and needs to close”. Now while I could see the ‘busy’ clock running in the original screen and even that when it finished and was waiting for user input, I could only get to the error screen and if I clicked on ‘ok’, it terminated the program. Now comes the frustration with DELL. After uninstalling and reinstalling Backup and Recovery at least three times myself, their ‘Help Desk”(?) could only suggest the same thing. So I made a pain of myself, got to a supervisor, demanded a techie rather that a ‘fix by numbers’ help desk. When I finally got to one, he got on remotely, saw the error and started to work. Short version of the answer was that the installed version of Backup and Recovery was attempting to go to address 0x000000000….. at which point the error was generated. The techie looked for another version of the software and eventually actually installed the Windows SEVEN version. It worked. I have a 13-7347 and for the original hdd the partition scheme factory settings only has four partitions. 1gb healthy (recovery partition), 500mb healthy (EFI), OS (C) 456gb ntfs, and 8.10gb healthy. No, 750mb recovery is that a problem? Because when I f12 to boot the external hard drive here the recovery media is located does not appear. I am assuming you will remember me because of my many questions. if so, do you recommend I too do the above (upgrade my bios, if needed; touchpad and sensors? I am worried because… because of my last clean install (maybe because I did it from a dvd), my windows doesn’t seem to recognise the uefi or secure boot – it seems to be running using mbr set up. Okay, great. Thank you for the quick response. Your guide and accompanying YT videos are greatly appreciated. Well written and presented. Excellent work! I did manage to get mine updated. Step three was grayed out so I just clicked it and I got the continue button to click. Mine is all updated now. I installed windows 10 last night but, it run slow and windows opens slow too. It does not start up as fast as my 8.1 did. Not sure why doc, control panel and so on open slow. I updated things prior to install that I needed. I did not see anything for the touchpad or the ones mentioned above prior to installing. BIOS was updated. I have windows 8 preinstalled , now i have upgraded it to windows 8.1. How to replace recovery partition to windows 8.1 instead of windows 8 as i have upgraded to it. Because every time i reset/refresh my pc it gets back to windows 8 also it only recovers from recovery partition. I have tried recovery from usb but it still recover from HDD partition only not from usb. kindly reply. The Free Version of Dell Backup and Recovery only lets you restore to the factory image, or if you have performed a clean installation allows you to make a new “factory image” of your current install. To make a new image of a system upgraded from Windows 8 to Windows 8.1 you would need to pay for the Premium version. 1.) Can I get the Win10 PBR Image and replace it with the one in the PBR Image partition? 2.) If not, can I simply delete the PBR Image partition (to avoid accident)? 3.) the 450 MB unnamed partition stores “WindowsRE”, should I keep it? I can move it using EaseUS. 4.) When I do a fresh install, what should I do for reformatting the hard disk or partitions? I am concerned about these partitions before the OS C: partition. If formatting wipes them out, the UEFI firmware cannot boot the system. I think your answers would help many other users greatly. You certainly put in a great of clarity in this upgrade instruction. Hope every one can benefit more. PS. I bought another brand and returned it after inexcusable bugs in setting the PC to the “sleep” mode. It could not wake up the monitor screen which forced me to power down that PC. I have yet to try installation of Dell Backup and Recovery on a Clean Windows 10 Installation (which should likely create a new Windows 10 Recovery Partition)… I’m also not sure how the installation of Windows 10 TH2 will influence Dell Backup and Recovery (this also changes system partitions). Thanks for prompt reply. I earlier already installed rather upgraded windows 10 by upgrading normally from your Initial upgrade to Windows 10 guide but system was too slow and sluggish so i decided to clean reinstall windows 10 as you have mentioned from your win 10 recovery guide but it makes recovery drive from my recovery partition only not from actual windows 10 ,also as you have mentioned usb recovery size was 3-4 gb , mine was 11-12 gb but i din’t pay attention to size at that time so it accidentally refreshed my laptop to original win 8 condition. Now i have again upgraded to windows 8.1. Now i am beginning to upgrade to windows 10 again then i will follow your recovery for clean reinstallation guide but my question is how to solve windows 10 recovery issue that it makes recovery drive from partition only not from actual windows 10 files ? ,i din’t understand how to resolve this. kindly reply, really appreciate this. Also want to ask you this i have simply copied data from $Windows.~WS folder when it downloaded win 10 files for media creation tool when i upgraded to win 10 initially, will it work or i have to redownload windows 10 entirely again? I’d advise downloading the Windows 10 .iso file (of the correct edition) and making a GPT USB for UEFI BIOS. This will give you proper Windows 10 Installation media. i downloaded iso file of win 10 single language as i have win 8.1 single language with media creation tool so that in future i don’t have to download 3.5 GB for 3rd time and will use rufus to install win 10 and then i will follow your win 10 reinstallation guide to clean install of win 10. Will let you know if i have win 10 usb recovery problem like last time . Also want to ask you dell system info shows i have win 8 (64 bit) service pack 0 although i have upgraded to win 8.1(status:activated with sr no), Did i do something wrong or it’s error with dell? should i use win 10 iso downloaded from media creation tool to upgrade and clean together from win 8.1 or should i upgrade to win 10 and then clean reinstall ?, as i have earlier upgraded and i checked for win 10 activation and it was activated. Note:I have ubuntu 15.04 dual boot (uefi with secure boot on )with win 8.1, should it create any problem for clean reinstallation as normal upgrading to win 10 last time din’t have any problem on it. Hi.I have enjoyed from your lessons and instructions.I have an unresolving problem:Dell Vostro with SSD 512 Gb and W 8.1 pro with Media Center: UEFI BIOS an GPT partition. I installed the newest soft og “Dell backup and recovery” (1.8.1.71 – aug 2015). What make and model of external hard drive and is anything else on it? Western Digital WDBUZG5000ABK 500GB: NTFS file system. I also tried to use USB flash drives – i get same error. I assuming you got Media Centre by using Get Features with a New Edition of Windows? Can you recall what Edition of Windows 8.1 your system came preinstalled with? No, I can’t.I get this ultrabook as is. I have a product ID for this OS. The Media Centre Edition was Retail Upgrade only and Windows 8.1 Pro with Media Centre shouldn’t of been preinstalled on any Dell systems. I am getting the following error message while restoring the dell factory image I have created from Dell backup and recovery manager on my Dell inspiron laptop- “Unable to create system/primary partition”. and the process could not able to complete. I had Windows 7 while I purchased this laptop. Recently I had upgraded to windows 10 and having some issue after that. I wanted to go back to my factory image. I just have created my factory image in Windows 10 and tried to restore that image following your steps as mentioned above using USB drive. The factory image was successfully created but while I tried to restore the same from boot manager I got that error. Did you make Recovery Media before the Windows 10 Upgrade? If so with version 1.8.72? What model of Dell Inspiron? I am using Inspiron 15 3521.No I did not make recovery media before Windows 10 uopgrade. I made this media after fresh installation of windows 10 after my system crashed. I wanted to go back to Windows 7. I made this with latest version 1.8.72..
when trying to recover to factory state using this method, i got ‘an error occurred when creating the system partition’ whilst on the ‘preparing your hard drive’ stage, so i couldnt go forward with that. it doesnt repair it either cos of some problem with the partition table (mine is an MBR partition with 100MB recovery space). Dell backup and recovery also reports some errors in it and uninstalling/updating does not help. wish of course i’d created recovery media… think one of these ‘optimise your computer’ internet software messed my laptop up, cos they might have deleted or decreased the partition recovery space without my knowledge..so my only option is to reinstall from scratch. can you tell if i’ve still got the Dell internal recovery partition? and if i want to do a clean re-install of Dell Backup and Recovery (hopefully that will fix the issues! ), will i need to re-install Windows again? windows has already created its own restore points..
You are bluetail14 on the forum? Please explain exactly what you did (on the forum thread). You upgraded to Windows 10 and reverted back to Windows 7? How did you revert, using the Dell Windows 7 Reinstallation DVD or using Dell Backup and Recovery? Or by rolling back in Windows 10? P.S. I live in Glasgow so pretty close by. so probably no dell internal recovery partition, as it says 100% free space for the recovery partition? I’ ve bought a Dell Inpiron 15 – 5000 series win 10. I did the partition hard drive to 3 C, D, G, now I want to recovery but there is adjusting ” could not find the enviroment recovery” Pls help me solve this problem. I’ m not good at computer. thanks all! If you’ve repartitioned your OS Boot drive your factory partition will no longer function. You should have made recovery media before carrying out any repartitioning. done a clean install of Windows with using clean all in DiskPart. everything installed ok, however Dell Backup and Recovery Manager refuses to create a factory state image! the Continue button is not active and I can only skip it at the stage where it offers to insert a flash/hard USB drive or a disk to create a factory recovery media. what can I do??? I have also tried to create a restore point in Windows (can it be the problem?) after I installed DBaR . I can see Disk 0 (C:\ , 94% free )and Disk 1 (System Reserved, 72% free ) under Disk Management. What brand(s) of USB and External Hard Drive have you tried and the size of them? I have tried a 64GB USB flash drive (its detected ok) and I only need 10.24 GB…also tried a blank DVD. anyway, I tried to test it and restore to ‘the factory image’ by pressing F8 and then repairing via Dell Backup and Restore, advanced options-factory image and it worked (!!!) it did restore my system to the point when I installed DBaR. just weird it does not let me to create a factory recovery media even that it should! the whole point of having a media with the factory restore state is to be able to restore it if for any reason DBaR fails to work and all my old restore points disappear (as it happened in my previous installation). Hello, I have bought an ALIENWARE 15x R2 . and now i want 2 upgrade to SSD but i want to make sure with this recovery method comes boot Image i.e. ALIENWARE same as orignal or we have blue windows after upgrade . It should work fine I created mine from my Inspiron 13 7347 HSSD and then loaded it on the SSD. I did a system diagnostic using the DBAC software but it locked up in the process of reloading from the backup. Now DBAC does not “see” the backup even when I select the folder. I read that using the Migration Recovery utility can solve this but when I run it I get error 87. Looking for info on how to finish this restore. Thanks. If you’re still available here, I’d appreciate your help with a question that I have. I bought a Dell XPS 8700 desktop (Windows 7 Pro) in early 2015. The first thing that I did was to make a Dell “Rescue Disk” (on USB flash drive) and a Dell “Factory Backup” (on USB flash drive) through the Dell “Backup and Recovery” software that came installed on the PC. I also made an Image of the PC’s hard drive (in its factory shipped condition) with the built-in Windows 7 imaging program. Since that time, I have clean reinstalled Windows 7 and removed the Dell Recovery Partition.